MIRACLE IN RWANDA – a play by Leslie Lewis and Edward Vilga – scheduled to premiere Off Broadway following an acclaimed world tour, with preview performances beginning April 4 prior to an official opening night April 9 at the Lion Theatre on Theater Row (410 W. 42 St.) in Manhattan, will now play through May 11, 2019. Directed by George Drance, MIRACLE IN RWANDA was previously scheduled through April 21, and extends its run due to popular demand. MIRACLE IN RWANDA is the uplifting tale depicting the real-life events in Rwanda when Immaculée Ilibagiza survived -- along with 7 others—three months in a 3x4 foot bathroom during the 1994 genocide against the Tutsi. Through her story of sheer survival, compassion and the power of faith amidst unbelievable hardship, Immaculée has been referred to as "our generation's Anne Frank," yet one who thankfully survived. To those who know her story, the true miracle is Immaculee's ability to forgive. This solo show stars Rwandan actress Malaika Uwamahoro, playing both killer and hunted; her performance lends redemption to this awful chapter of human history, bringing it full circle. This engagement of MIRACLE IN RWANDA coincides with the 25th anniversary of the end of the genocide against the Tutsi, known as Kwibuka, which means ‘Remember’ in Kinyarwanda, the language of Rwanda. The United Nations designated April 7 as an International Day of Reflection on the 1994 Genocide against the Tutsi in Rwanda. 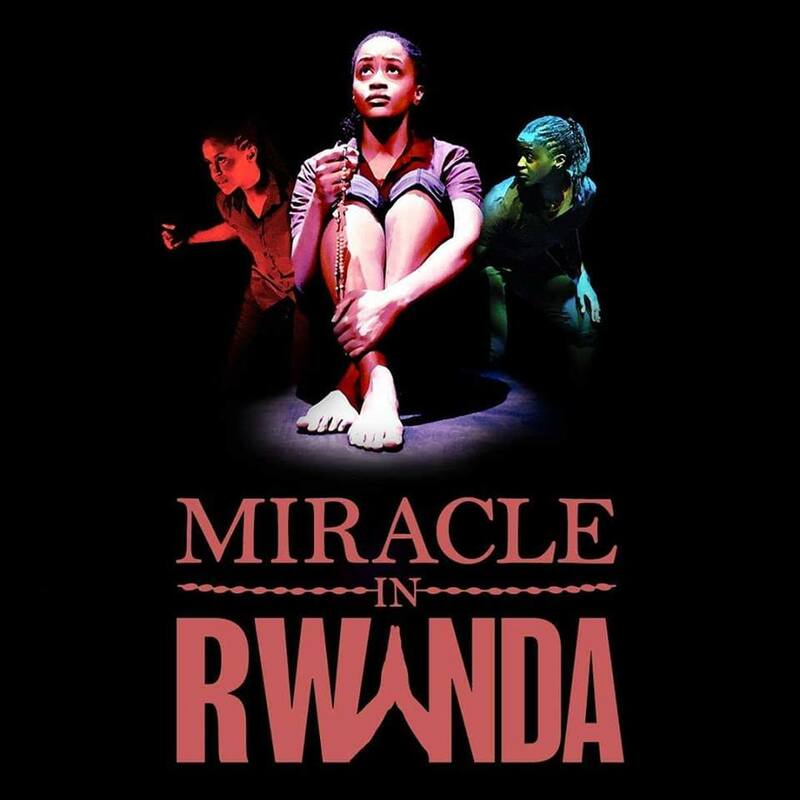 MIRACLE IN RWANDA will perform Tuesdays through Thursdays at 7 pm; Fridays at 8 pm; Saturdays at 2 and 8 pm; and Sundays at 3 pm. Donna Lea Ford (Costume Design), Erich Keil and Gina Costagliola (Lighting Design), and Taiwo Heard (Sound Design). Company and Allen DeWane of Acuity Productions.